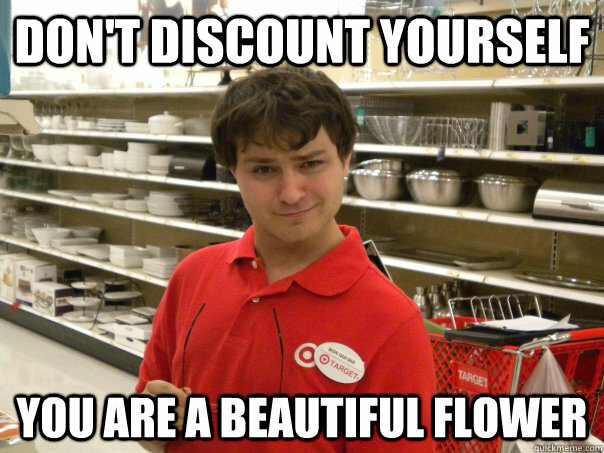 Valentines day card, Perfume, and new Pillows? 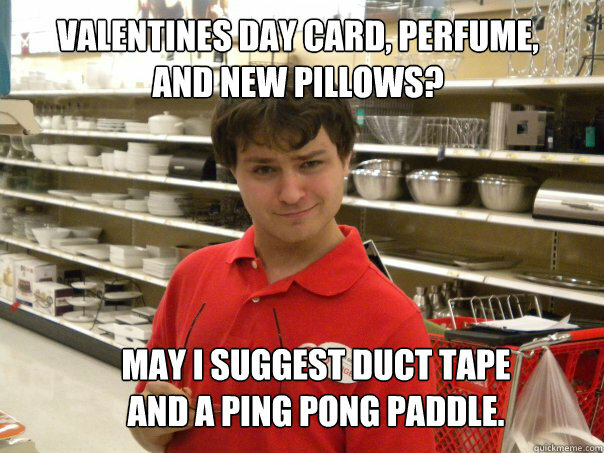 May I suggest duct tape and a ping Pong paddle. 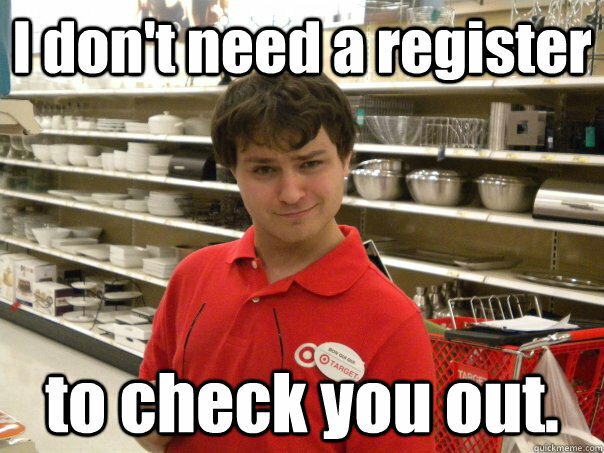 I don't need a register to check you out.